Bottle Neckers are a great way to make your product stand out from the crowd. 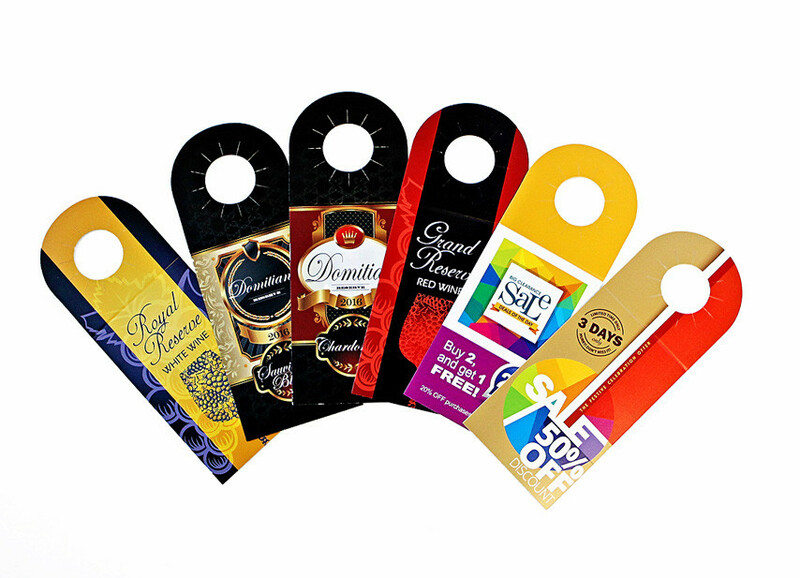 Use them for point-of-purchase advertising for wine and other beverage products, as well as a variety of other bottled items, including food, health, and personal care products. Custom printed Bottle Neckers are great for coupons and promotions for your current or potential customers. Need a specific size? Go to our custom sizes page. Box Size: 2-1/2" x 4-1/2"